UGVCL Notification is out. UGVCL is recruiting for 04 Accounts Officer Post Posts. 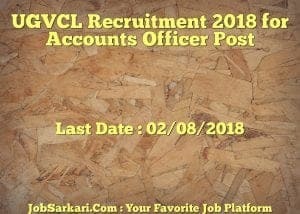 You can check UGVCL - Uttar Gujarat Vij Company Limited last date, download UGVCL notification, visit UGVCL official website and check other UGVCL Vacancy details.Complete Vacancy and recruitment Details about 04 Accounts Officer Post vacancies in UGVCL are provided below by JobSarkari.Com only for you. Last Date for Apply Online 02/08/2018. Mode of Payment Application Fees Can be Submitted through Credit Card / Debit Card / Net Banking. Accounts Officer Candidate Must Have Passed CA / ICWA With Two Years of Experience. 04. Not Exceeding 30 Years(05 Years Relaxation for Female Candidates). Q. What is the Last Date For UGVCL Accounts Officer Post Vacancy ? A. 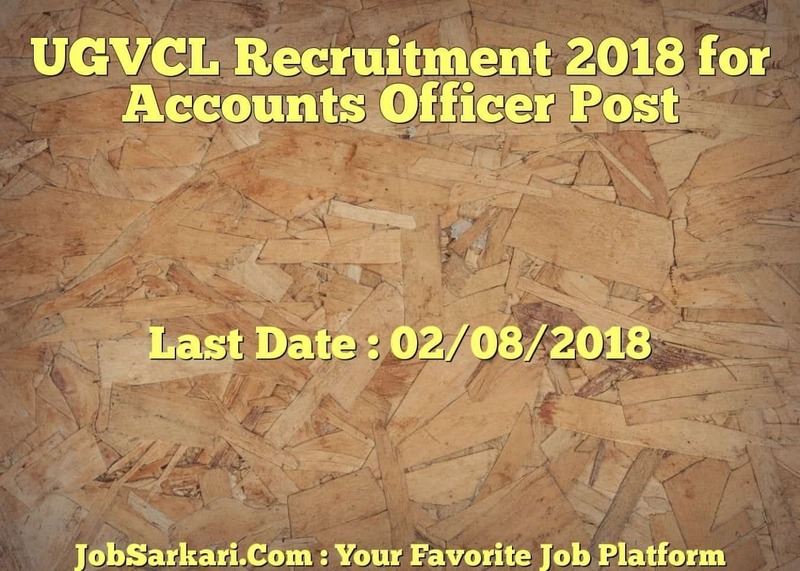 Last Date for UGVCL Accounts Officer Post Posts is 02/08/2018. Q. What is the Form Type of UGVCL Accounts Officer Post Recruitment ? A. The Form Type for UGVCL Accounts Officer Post Posts is Online. Q. How many vacancies are available in Uttar Gujarat Vij Company Limited Accounts Officer Post Posts ? A. There are about 0 Vacancies in Uttar Gujarat Vij Company Limited Accounts Officer Post Posts. Q. What is the Full Form of UGVCL ? A. Full Form of UGVCL is Uttar Gujarat Vij Company Limited .